First let me thank you for sharing your Opportunity Weekly posting with me; I share them with students in my database as well as post them on our Job Board. Many of my students have share with me that they also share them with their family and friends, so thank you very much. I would also like to ask if it’s possible to have our Job & Career Fair information posted in your Opportunity Weekly Job Fair section? This is a FREE event and open to the public. Our Job & Career fairs has always been very successful and we are expecting to have over 75 employers from various industries join us that day. Your partnership and support is greatly appreciated and together I know we are making a positive difference in the lives of MANY. My name is Andrea, I am a recruitment coordinator with Mercy Health in Lorain, Ohio. I am looking for information on how to post job openings on your website. Could you please send me information on how I would be able to post available openings with your website? I work in the Career Center at the College of Business and Public Management at the University of La Verne. I would greatly appreciate it if you could add me to your distribution list to receive Opportunity Weekly. Subject: RE: Individual & Corporate Giving / Kids Club Attendant / Gas Service Rep. Thanks Dean. This is so very helpful. Thanks for the Job Leads! PCI is a 501(c)(3) Non Profit Community Center, which relies on Donations, Contributions, and Volunteers to Support our Mission. Thanks for the info. You give great job leads. I hope you are doing well and your day is off to a great start. I just wanted to say Thank You again for your time and all the valuable information you shared with me. Thank you also for adding me to your listserve; these are some wonderful opportunities and I’m so excited to share them with our students and anyone interested. Here’s the newest Opportunity Weekly with the latest job listings, recruitments, job fair info, trainings, labor market info, etc. Click the link below to see everything available. Take care. Thanks for the Look Ahead Table for METRO. I am a certified DBE but forget to look. BTW they have a great meeting once a month for SBE/WBE/DBEs at METRO HQs that small businesses should attend. It was a group that was formed as an Advisory Committee, Lucia Tam can give you more data on it. My name is Charles Ryu and I am an Organizational Development Intern at Community Career Development. I’d like to utilize your Opportunity Weekly Newsletter to advertise a few job openings within our NPO. Could you please assist with this process? I am interested in advertising for our Mechanic Leadworker employment opportunity with the City of Compton. Can you please advise me of what steps to follow to do so. We will include in Monday’s weekly digital bulletin as well. Wow, thank you Dean. You are the best!! Hi, my name is Isabel Garcia. I am an Employment Specialist at Asian Pacific Counseling & Treatment Centers in Downtown Los Angeles. I was informed that powersola@aol.com sends emails of current job openings available, and I was wondering if I can be added on to your distribution list. I would really appreciate it if you could. Thank you in advance and have a nice day! Hello. I am an Employment Specialist and work in the Huntington Park, CA area for Los Angeles County Department of Mental Health. I work with several women and men that are re entering the work force and others that may have never worked before. Please keep me posted with all new employment listings. I went to the website to add myself to your listing but was unable to. 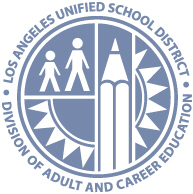 I am a job developer from LAUSD transition program. This website [OpportunityWeekly.com] is a great help with job referrals. Good morning Dean,…..hope everything is blooming nothing but bushels of new fruits for your labor!! You really put a lot into this effort [OpportunityWeekly], and its appreciated. I just wanted to say hey to you, and comment on the well-organized and comprehensive resource tool you’ve developed. It’s really packed with tons of good and useful info for the workforce development community. Hello my name is Geraldine up-dating my e-mail information. I wish to thank you for all the great information you provide to the community. Keep up the good work. I hope this missive finds you well. Thank you for the better than excellent information. Thank you for this excellent resource. Have a joyful day! Very nice format, easy to find what you need. I was referred by Mr. Billy Williams. My name is Hazel Rodriguez. I would like to be added to the Opportunity Weekly email list. I work with high school students who are potential employees as well as with students that have graduated and are in search of a training program or job. This is very valuable information for the students I work with. Thank You so much. Have a great day. This announcement is particularly well prepared and seems to have viable opportunities for most job seekers with minimal complexity in the processes identified. The [ Monday, May 4, 2015 – OpportunityWeekly ] is extremely helpful! I would like to be added to your opportunity weekly so that I can share these opportunities with others, I work with a lot of workers who work with transitional age youth who are looking for job opportunities. We would like to post this information on your “I Start On Monday” site. The LAH3C Grant program is offering tuition free training for individuals who are interested in pursuing healthcare careers. I have attached a pdf and a flyer for your review. If I need to sign up, please provide me with the link. Thank you so much for your diligence and hard work in this endeavor. I love the networking possibilities we get when attending the meetings. Thank you again for the opportunity to share today! I look forward to seeing you in the future! I wanted to say how much I enjoyed the Power Collaborative meeting last Friday, Billy said I’d enjoy it, he wasn’t wrong. Thank you for having these meetings, what an awesome way to make a difference in our city and our state, both mentally, physically, emotionally, and spiritually. I look forward to attending regularly. Visit us online at www.JuniorBlind.org. Hi Dean, Hope all is well.. I wanted to follow up with you on a P.O.W.E.R. Collaboraitve Network (PCN) meeting that I attended at Compton College, I believe earlier this year. I recall being briefed from a representative at Ralphs on career pathways that they have established with the college. NCLR is currently managing two large grants from DOL and Walmart for the exact same purpose: to create a career pathway in a particular industry utilizing community colleges as the vehicle for advancement. I am interested in speaking with that representative and seeing if we might be able to incorporate their model into our national strategy for these grants. If you remember who she was I would greatly appreciate it. I do have the notes from that meeting but unfortunately they are at my previous job. I believe the contact info you are inquiring about is for Ms. Rhonda Palacios, Education Coordinator, Business and Workforce Development, Ralph’s Grocery. She spoke at the September 2009 P.O.W.E.R. Collaborative Network meeting. Also, the Dec. ’09 POWER Collaborative Network meeting had Robert De Santiago, Human Resources Manager for Vons/Safeway presented their hiring process. His contact info is, (626) 821-3849, and email Robert.DeSantiago@safeway.com. Accompanying him at the meeting was Lisa Stritof, District Employment Representative for Vons/Safeway. Her contact info is, (951) 533-6598, and email Lisa.Stritof@safeway.com. As soon as I find out the Ralph’s info I will send it to you post haste. I did reach out to the college as well and it seems that the main contact person is Bob Livingston. I touched base with him and we have a meeting set up for next week. Thank for helping and for having that PCN meeting. This is exactly why your collaborative meetings are so beneficial to all of us! Just wanted to say thank you for bringing the Power Collaborative meeting to our office. Our new mgmt rediscovered how important your organization is to us and my understanding is that we are going to have staff attending regularly on a rotating basis. I am grateful for the wealth of information at our last meeting, sorry I had to cut out early but I was scheduled for the counter from 12pm-1pm and didn’t get a chance to network much. That’s OK, there’s always next month. Again, it was a pleasure having you at Crenshaw again. Please feel free to send any flyers or event info that you would like me to promote for you. First of all I want to THANK YOU!! For all of your help and support you have given to us at Franklin Career College, Norwalk Campus. You are truly an awesome organization, that I have had the privilege of knowing and working with for the past 2 1/2 years. I want to thank you for posting the information I sent to you, about Franklin Career College’s need to find students to train and place. It was amazing how the information about our programs were received by your partners, colleagues, and the communities of Los Angeles. Our phones have been ringing off the hook! We have been are able to touch many lives by getting them into training at our campus. Now that they are graduating we are working with them to be placed into careers they were trained. We have been able to achieve our goals of training and placing students. Again, Thank you, Dean Jones and Biz Partnership, the Communities of Los Angeles, the Work sources and the Caseworks for all your support. Our company and our clients are better served because of your great work and dedication. We look forward to our continued relationship with you. 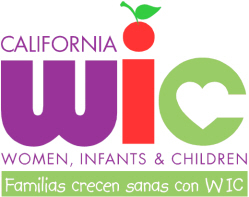 The P.O.W.E.R Collaborative Network is an alliance of over 1,000 professional from California state, county and municipal agencies and a number of non-profit employment services organizations who work collaboratively to provide training, development and employment referral services. I was invited to share federal opportunities during a meeting last October where I spoke to DOT Mission Critical Opportunities and how to access and use USAJOBS.com. I am sharing this communication and encouraging you to contact the organization to explore how your office might be able to use the network to reach viable candidates for internships and permanent placements. Dean Jones is the chair and can be reached at (310) 637-7248 or POWERSOLA@aol.com. Thank you for your kind words. It was our pleasure to host and I sincerely appreciate the work you are doing to create greater networking and potential collaborative opportunities with other organizations. I have attached a flyer with information regarding a job fair that Covenant House California, EDD, Hollywood Worksource and the Archdiocese are putting on. Can you please take the time to post it on your website? Thank you guys for posting the Spring Jubilee invitation letter we have had a great response in just one day! I’m attaching to this email the flyer for the general public to attend can you put this up on your website? You may have to discuss this with your boss J… but I think the P.O.W.E.R. Collaborative Network would be a great networking opportunity for you. I am no longer able to go to it, but it is a time when Job Developers from all over the community come together to discuss various issues, and it is always a great place to pick up job leads… and they usually have food. So, if Silvia thinks it’s okay, I think this would be a great monthly opportunity for you. Thank you so much for your supportive P.O.W.E.R. Collaborative Network email blast. As a direct result, our ‘Retail Sales’ class was full for the Staple Center Training! It has been four weeks on my new position, and it feels good! As I reflect on just how I was able to win such a positive job, it all points to the incredible relationship with the P.O.W.E.R. Collaborative Network. I have always enjoyed working, which is why it blows me away how misfortune fell upon the companies where I had the pleasure of working before this one.Too often, I found myself as the last employee standing.In contrast, the P.O.W.E.R. Collaborative heard about my situation and through the networking of its members referred me to this opportunity. Helping others find their respective job is what I do best, and the P.O.W.E.R. Collaborative did the same for me. What is even more interesting was how the P.O.W.E.R. Collaborative Network identified and provided two potential positions, where the right one lined up just perfectly.In addition, the P.O.W.E.R. Collaborative made the interview process very favorable because it set me apart from the other candidates. The P.O.W.E.R. Collaborative acceptance is high with credibility and integrity by the interviewers as a sound community resource, thereby making it easy to discuss the job expectations. Simply put, the P.O.W.E.R. Collaborative referral placed me onto solid footing with the interviewers. This is why I am so compelled to write and formally express my appreciation for the fine work of the P.O.W.E.R. Collaborative Network. Thank you for helping me to secure such a great position. My family and I are forever grateful.I wish the P.O.W.E.R. Collaborative Network all the best, as you are able to continue serving as a fine business and workforce resource. Please do not hesitate to call me anytime should you need any volunteer support in the future. Thank you for the continual information that is sent, it is very helpful. I would like to take this opportunity to extend my gratitude and sincere appreciation for your work and the countless opportunities you provide for industry professionals. Because of the P.O.W.E.R. Collaborative Network and the opportunities for networking it provides, I was able to secure employment following January’s meeting. I have just received and accepted an offer for the position of Director of Admissions for American Institute of Health Sciences in Long Beach. Allow me to share a personal story. Due to personal and extenuating circumstances over the last months, my drive and professional growth had been almost non-existent. The Monday of that meeting, as I lay in bed not having the motivation or the desire to devote any attention to professional opportunities and development, I debated on attending the meeting, and after much hesitation, finally decided to attend. This by the way explains why I was late and walked in the middle of the speaker, which is highly unlikely and unbecoming of me! While at the meeting, I made some valuable contacts that would eventually lead to an employment opportunity. Therefore, if I had one piece of advice for members of the P.O.W.E.R. Collaborative it would certainly be not to EVER MISS A MEETING, because you just never know where it might lead you! Once again, thank you very much for the work that you do and the environment you work so hard to create for service and industry professionals. Thank you for the responses to the job lead that I sent out yesterday. Thanks to the Collaborative, I found a great candidate for that position. He has an interview on Tuesday at 11:00. Thank you for all your help and support. Helping people find employment is such a great feeling!! I recently attended the P.O.W.E.R. Collaborative Network meeting at the LA World Airports’ Flight Path Museum, and it was a very motivating and enlightening experience. It was a pleasure to see so many educational options, job training resources, and job placement opportunities available to those in need in the greater Los Angeles metropolitan area. I attended the meeting as the new GAIN/CalWORKSs Advisor from the Metropolitan Skills Center. During this next year, I look forward to building a meaningful and productive relationship with your organization to increase my ability to serve the school’s student population and assist the members of the P.O.W.E.R. Collaborative Network in their efforts to provide career development resources and opportunities. I would greatly appreciate you adding me to your mailing list. I can be reached at (213) 386-7269, ext. 121. Thank you again for a very positive and inspiring experience, and I look forward to seeing you again at the next meeting.